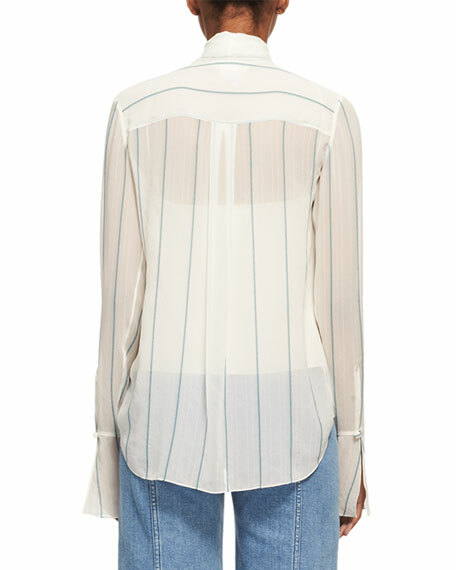 Chloé shirt in striped chiffon. 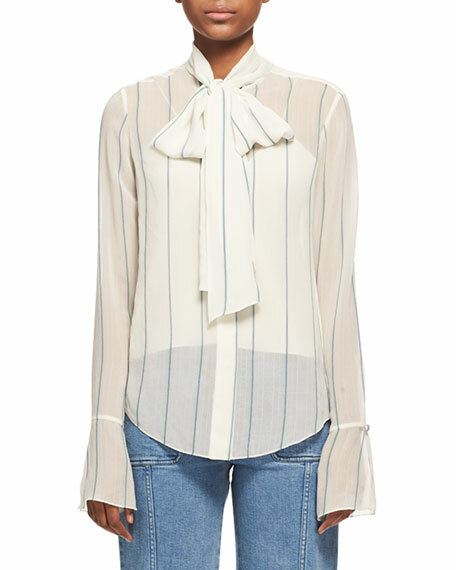 High neckline; self-tie scarf can be worn as bow. For in-store inquiries, use sku #2151018.